I’ve been walking around town a lot this year, and our perennial streams still have running water even in the third year of severe drought. If we still had any natural lakes, I think they’d be suffering, just like our reservoirs. But we don’t. 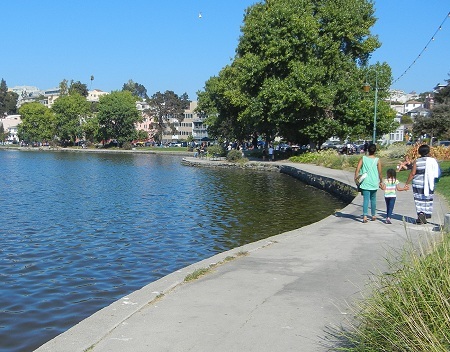 Whatever else happens, we have Lake Merritt. This entry was posted on 5 September 2014 at 9:48 pm and is filed under Oakland streams and water. You can follow any responses to this entry through the RSS 2.0 feed. You can skip to the end and leave a response. Pinging is currently not allowed.